Oskar Koliander’s installation Intelligo (2017) is made out of data infused mushrooms, which are constantly fed by a system of tubes and wires. Next to water and nutrients the system provides data streams to and from the mushrooms. Books such as Ray Bradbury’s The Veldt and James Joyce’s Ulysses are translated into digital data and stored in the mushrooms. 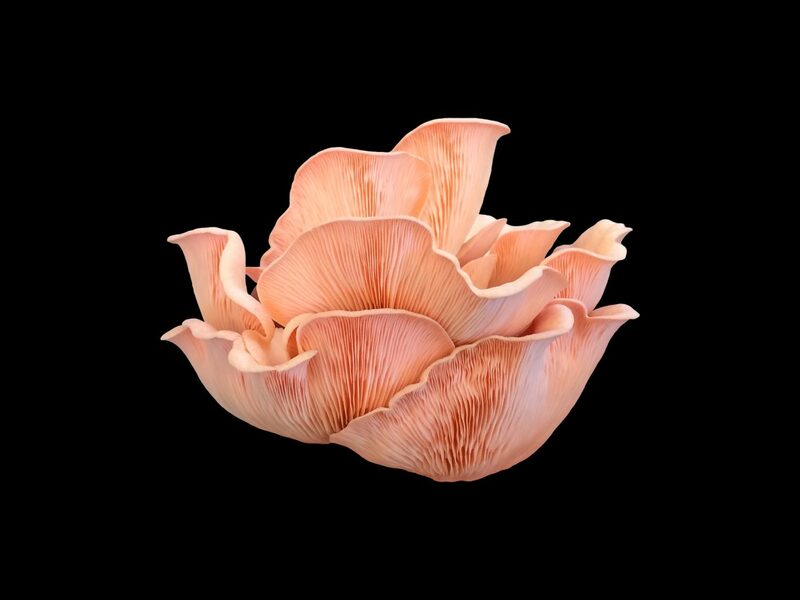 They become a hybrid living organism generated from digital data and organic material. 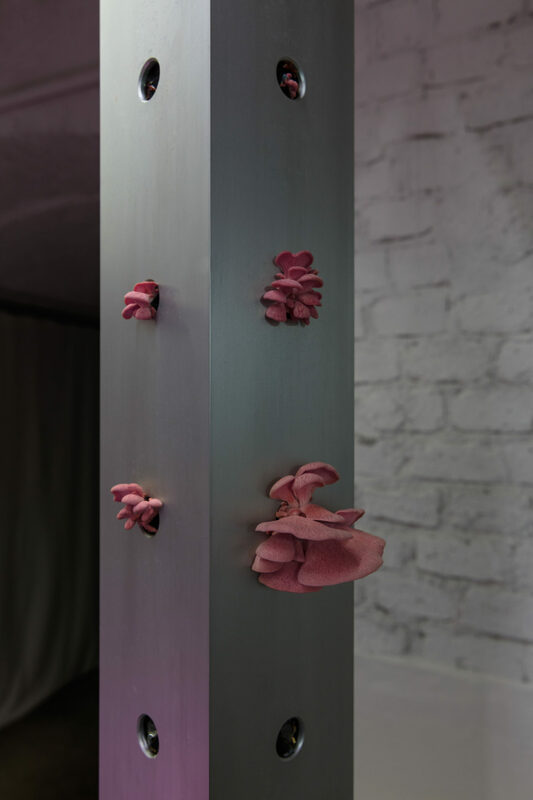 From the openings in aluminum boxes hung from the ceiling the mushrooms start to grow. 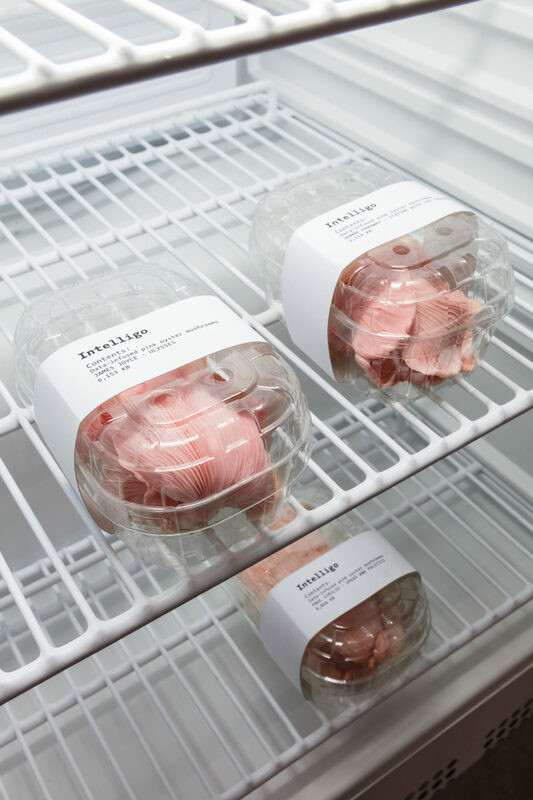 When they are ready to be harvested, they will be put in plastic containers labelled with the literature’s titles and stored in the glass refrigerator ready for consumption. The lights on the LED screen are coordinated by a reaction-diffusion system, which imitates the transformation of the chemical mushroom growing process. This system is used to describe chemical reactions in biological, geological and physical research. In the darkened gallery space the installation creates the specific environment of a hi-tech grow-room with a sleek aesthetic. The growth of organic structures, thanks to nutrient solutions in an artificial environment controlled by computers, reflects on contemporary agricultural trends. Organic farming is done in bunkers below some of the most polluted cities in the world. Humans create artificial gen-manipulated organisms, all out of the idea of mastering nature in an highly technologized contemporary paradigm. 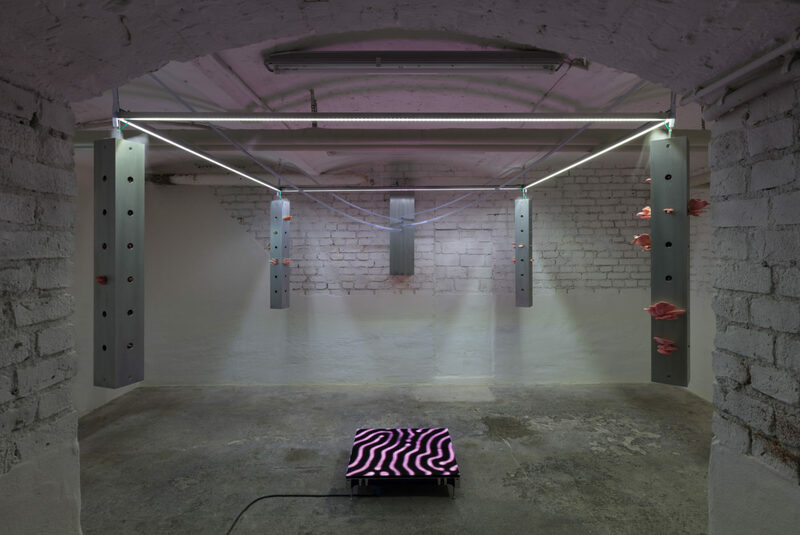 Oskar Koliander’s installation responds to current “trans-human” tendencies and speculative futuristic approaches, combining real contemporary scientific research and laboratory experiments. Boundaries between nature, memory and technology have become blurred, which until recently had been seen strictly separate. Social and cultural aspects are constantly optimizing our bodies and habits. These tendencies are raising highly ethical questions. 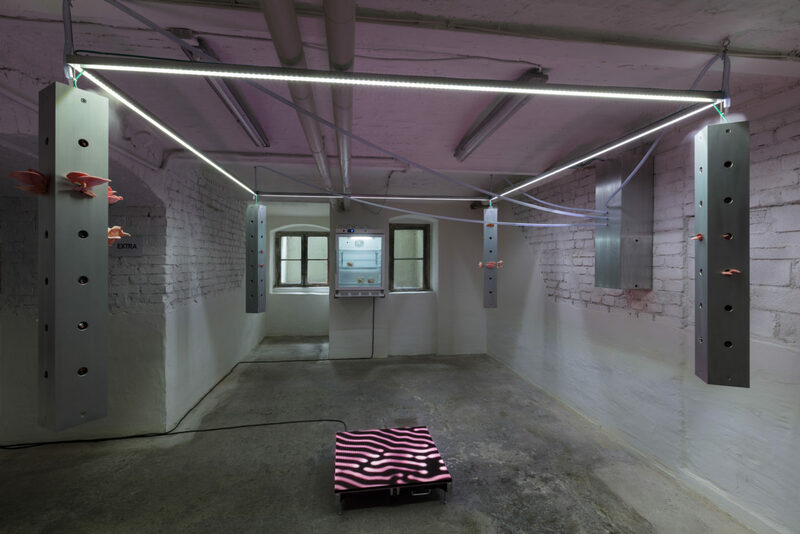 Koliander’s work performs an ongoing investigation of new technologies and synthetic materials. He explores the properties of the materials and the way they push our society and perception of ourselves forward. By referring to history and science Koliander’s work raises the question of how the digital environment affects our understanding of the physical world. Key elements in his works are the systems and invisible networks of virtual interactions in a digitized sociality.